But the allure of contests never left me. I used to enter them all the time. I got the free cans of food, a few watches, some pens, once tickets to a basketball game, and my biggest haul was a Weber Charcoal Grill that sat under my kitchen table in NYC for three years since we didn’t have a balcony to use it (thankfully we eventually moved and were finally able to break that baby open). In the deep woods of California, there’s an old decaying mansion with a terrible secret. When any enter its doors, the house claims them, propelling them to a land in a different reality, run by a man who calls himself, the Preacher. If you play by his rules, you live a life of luxury, but if you displease him? 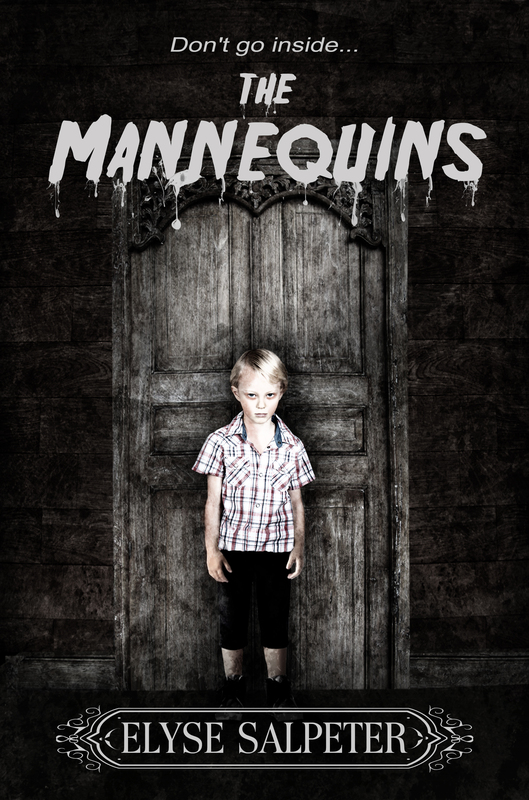 With a flick of his wrist, you are transformed into a living doll, a mannequin, and there is no escape… until the madman is done playing with you. So tell me, do you love to enter contests? What’s the biggest thing you’ve won so far? I remember when Cabbage Patch Dolls were the RAGE – congrats on winning that. Contests are so much fun. Good luck! Goodreads will choose a random winner in just 2 more days. Hi Elyse! Happy holidays to you and your beautiful family!!! I hope that everyone has a chance to read this fabulous book! I loved the eerie story, and the creepy setting. I picked it up on release day, and unfortunately, did not get a chance to read it until now. Readers will not be disappointed…I have also enjoyed The Hunt for Xanadu and The Deaf series by this talented author! Tracy – what an awesome comment to wake up to! Thank you so much – if you ever have time, a review would be so appreciated. Thank you so very much for your kind words – they really mean a lot. Contests can be fun, though if you go long enough without winning it can get you down…but there’s always hope! The first contest I ever won was as a child and the prize was a free ice cream cone…..funny that I still remember it today, so exciting to win something free! LOL – that’s an excellent prize for a kid to win! For several years, my father-in-law entered every contest that he found. He was methodical about it, and he won things occasionally. Once, he won a thousand dollars; another time, he won a new car. He finally got bored with it and quit. I’ve always wondered if he broke even on the postage he spent — he would never send money — so he may have. I bet he did – but the excitement of entering probably was so worth it. Until it wasn’t, right? I still remember the first time I won a contest. It was at a matinee movie, and I think it was for anyone whose birthday was an even number, or something. I won a comic book. Like Charle’s father, I have been tempted to enter contests methodically. I know someone who used to do that, and once won a trip to Japan. But I also wonder about the rate of return. And mostly, I’m too lazy. Awesome post! You have to keep us up to date on the return you got from running it. I’m especially interested in the appeal of a hardcover in this age of the e-book. So far 436 people have entered the contest and 236 have put the book on their shelf. To me, I can’t beat that type of exposure and I have another day for people to enter. All for the cost of a book and mailing charges. Winning is always fun. My first “win” (age 10) was at a magic show and I won a bunny. So did my younger brother. My parents were so overjoyed – I think my father’s exact words were “What the hell are we going to do with them? They’re too small to eat and they ain’t staying in the house.” A cardboard box for the night and a quickly assembled hutch was built the next day with one bunny on each side. My dad was not about to take a chance of a population explosion behind the trailer. I did a book give-away about 2 yrs ago. I hope this endeavor is a success for you and your bunnies get to live together and populate. lol. IOW, lotsa sales! I can’t believe they gave children a real bunny – that’s crazy – giving live animals is such a huge responsibility. I gave up on entering contests when I started getting tons of spam emails & calls saying I had own contests that I’d never entered. I do still get wistful when I see giveaways for some of my dream vacations though. The books sounds good, will have to pop over to Goodreads to check it out. Yes, that is the downside definitely – you put your email out there and you are subject to spam. Give-a-ways are good! I’m not necessarily drawn in unless it is something that specifically interests me. But I do LOVE to do a give-a-way and am preparing to do just that soon!